Campark X30 4K Review: Best Affordable Camera for Beginners? Affordable, making it an easy choice to shop for. Durable and professional design that encompasses nice appearance. 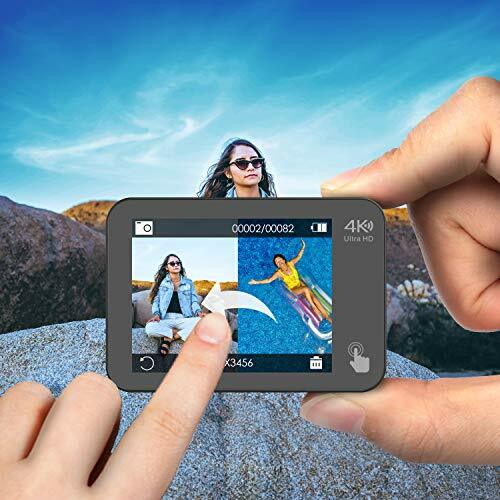 A wide-angle lens that captures everything within the screen. Captures 20MP stills and 4K resolution at 30 FPS. A complete and intuitive touchscreen that is easy to navigate around for beginners and experienced users. Supports up to 40 meters underwater depth, allowing underwater adventures. There is a brand new action camera right around the corner. Introducing the Campark X30 4k action camera. 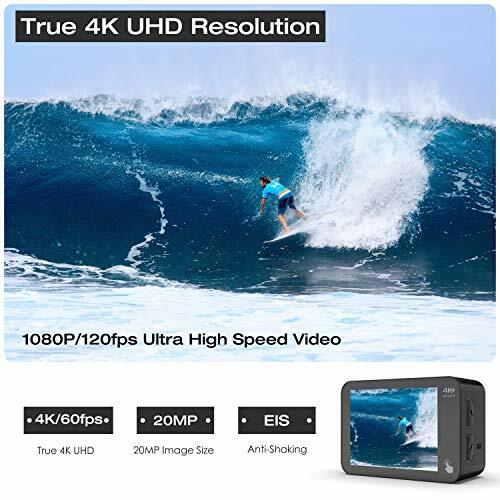 This is one of the latest action camera featuring true 4K resolution at an affordable price tag for less than $150. 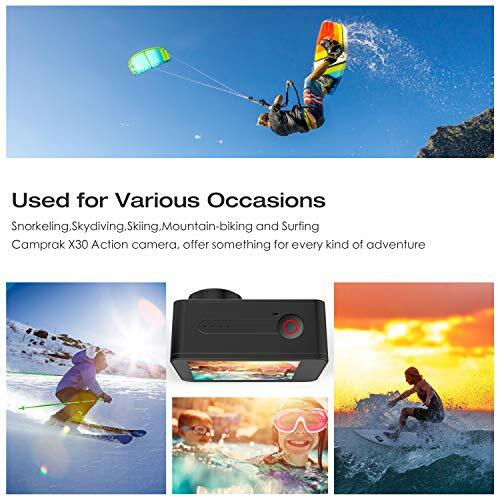 If you are looking for a quality action camera to launch your video career, or just to mount on one of these badass drones that work with a camera like the Campark X30. Stick with us because we are going to talk about this action camera. In the Campark X30 action camera review, we are going to talk about the details like design, features, performance, and most importantly image quality. The purpose of this review is to help shoppers like you decide if you should get your hands on the Campark X30 4K action camera. So, without further ado let’s dive into the details and find out if Campark X30 is truly an affordable quality action camera for beginners and experienced users. Before we start the Campark X30 action camera review. I want to briefly talk about what is included in the box. This is one of the most important parts of any review. If you are going to shop for action cameras or drones, you definitely want to know what comes in the box. Fortunately, the Campark X30 action camera is a complete package. Which means it comes with all the accessories that you need including a cleaning kit and an extra battery. In this section of Campark X30 action camera review, we are going to talk about the build and design quality. First of all, I really liked how it comes in a jet black coating. Personally, I think it adds a cool factor to its overall appearance. 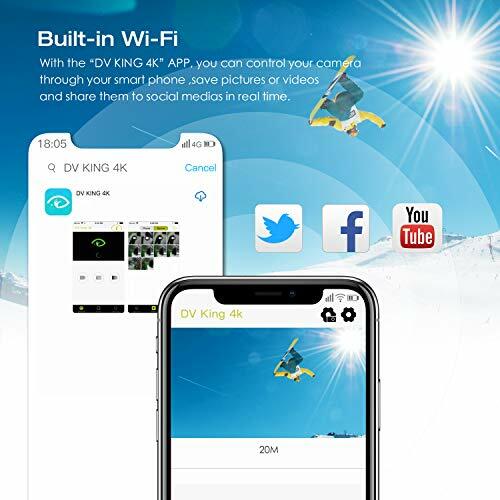 Not just only that, it does look much more professional and competes directly with popular brands like the Yi 4K and Victure 4K action camera. On the front side, the texture is smooth which adds sleek appearance. Furthermore, I liked how the power button is located on the front. I thought it is a smart design move because it prevents accidentally powering off the action camera. In addition to that, you can easily switch the modes through navigating on the touch screen. On the sides of Campark X30 4k action camera, the texture appears to be a little firm. It is designed so to help with handling and having a good grip while you capture the footage. On the right side of the action camera is where the ports are located at. You can easily insert a microSD card into, charge or to showcase your footage on a large TV screen. For this action camera, I recommend buying a 64GB microSD card as it would be more than enough to support 4K resolution footage. A single battery charge on average lasts for up to 2 hours which is pretty good for an affordable 4K action camera. The performance of Campark X30 action camera is surprisingly good. Thanks to a number of features specialized in a performance that enhances the quality of the image. If performance is the single biggest factor for you. Then, you will be surprised to learn how well the Campark X30 action camera performs. The video below is taken in San Fransico while riding the bike with minimum windy conditions. So the performance overall isn’t that bad. However, if you are serious about achieving professional-grade level video content. I recommend buying the Hohem XG1 or iSteady Pro gimbal stabilizer to go with Campark X30 action camera. 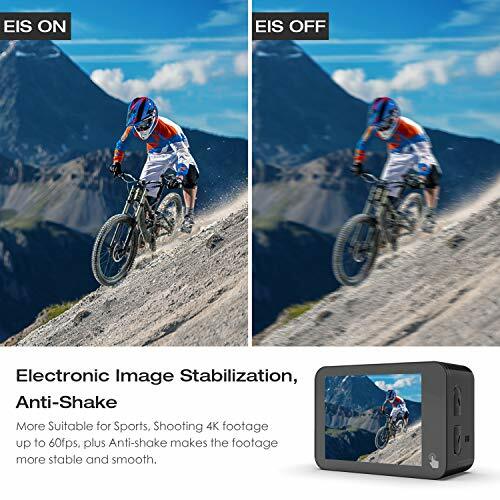 You will be able to achieve 4K at 30 frames per second without vibration and advanced movement trajectory for less than $300 compared to GoPro HERO 7 action camera. Check out the Campark X30 video review to see it in action below! 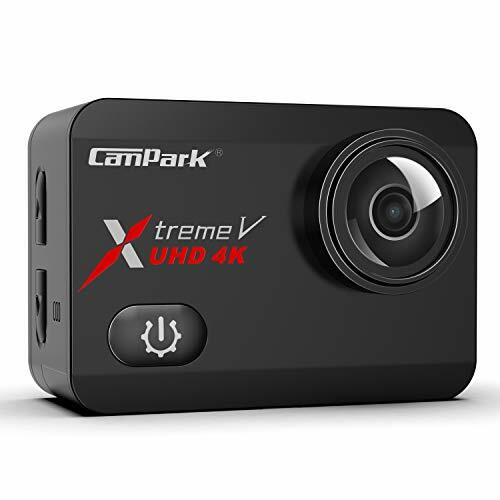 Don’t underestimate by how incredibly affordable the Campark X30 4K action camera is! As a matter of fact, this action camera is packed with a number of amazing features. First of all, its most notable feature is advanced electronic image stabilizer. Which automatically stabilizes the movement of the image to ensure smooth and fluid footage. This is especially important if you want to share great video content to your audience. But it is also good for mounting on these action camera drones since they move around a lot. Secondly, the Campark X30 action camera features the ability to capture raw footage up to 4K resolution setting at 30 frames per second. It is uncommon for quality action cameras to achieve these feats at this price tag. Let’s alone makes the Campark X30 a hot competitor among popular brands. In addition to that, this action camera can take mouthwatering 20MP stills with amazing details and vibrant scenes. 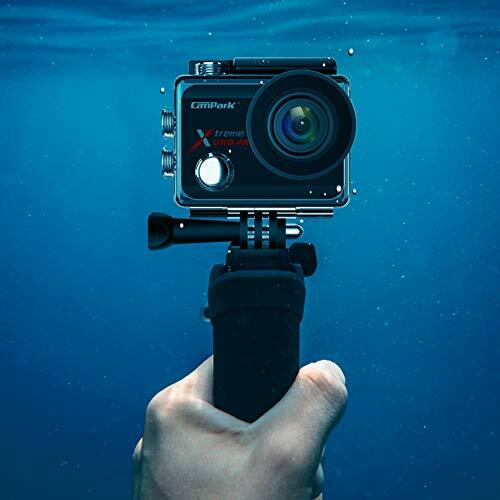 If you are into underwater adventuring and need a quality action camera that can withstand the pressure. You are in luck because, at the beginning of the Campark X30 action camera review, it comes with a waterproof housing includes. Which provides a layer of protection up to 130 feet deep. It makes this action camera an ideal choice for snorkeling, swimming, surfing and more. Plus, you can play back all videos thanks to a complete intuitive touch screen. Before we wrap up the Campark X30 action camera review. You probably are thinking to yourself whether it is still worth getting your hands on. From what we have researched and sifted through customer reviews, the Campark X30 is a high-quality action camera that will meet your expectations. 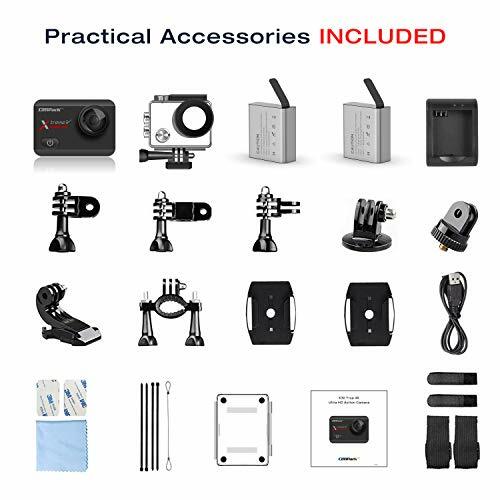 If you truly want to gear up your video content, you can combine the Campark X30 action camera with this popular XG1 gimbal stabilizer to achieve professional video content for your audience. At the price tag of less than $150, we think the Campark X30 is truly a quality action camera that will definitely take great shots anytime and anywhere you go. Not to forget to mention that it also makes a good entry-level for beginners and first-time users. You can order Campark X30 action camera for less than $150 by clicking here. We hope you found our Campark X30 action camera review helpful and insightful. Campark X30 action camera is a high-quality action camera that delivers amazing footage thanks to its incredible megapixels. As a matter of fact, it can capture 20MP stills with ease and produce 4K at 30 frames per second. It is one of the most affordable and budget-friendly action camera that will meet your expectations. Campark X30 is the perfect choice for first-time users and travelers on the go. Doesn't have any fancy features. Vanture N2 Pro Review: Best Car Dash Cam Under $200?